ItemD-06412 - "The Blue-Ruin Brigade"; Richard McBride, Templeman, Oliver, Brewster. ItemD-06413 - "Handicapped, the Liberal party Crushed Beneath the Weight of its Own Platform"; Templeman, Brewster, Oliver and 64 planks. Item D-06406 - Tightening the belly-band on a pack horse. 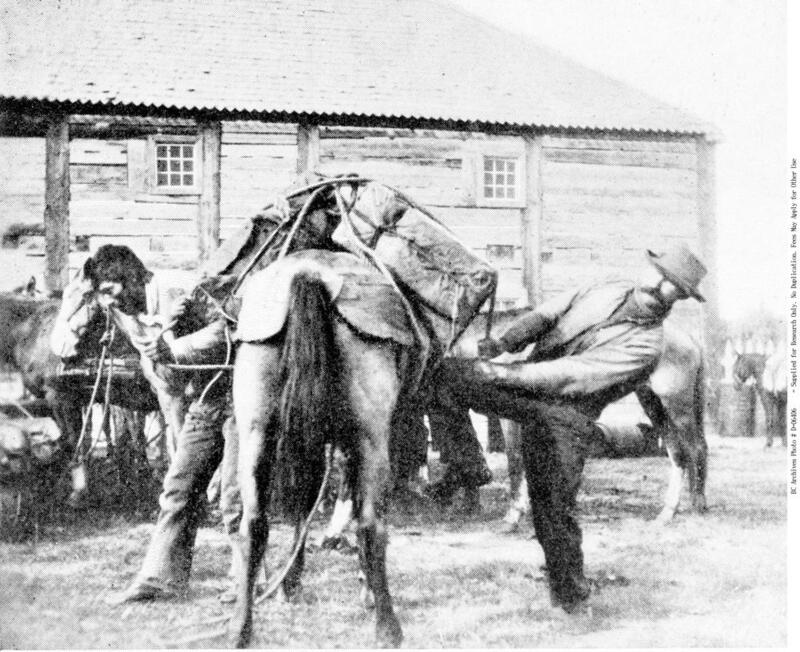 Tightening the belly-band on a pack horse.